The influence of fund managers is usually a more important factor in fund selection than the institution that they represent, according to fund of funds specialists Pantheon International. Bringing the often-exclusive domain of the private equity world to general retail investors across the globe is something that many observers might point to as a bold and pioneering move. 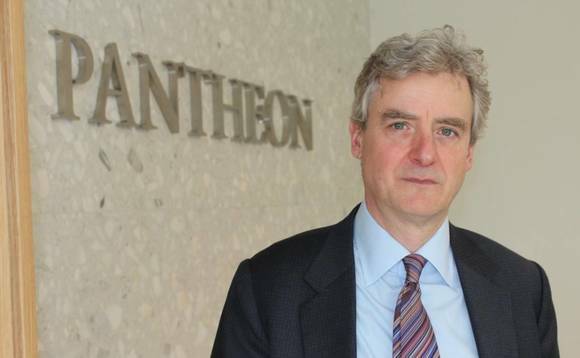 But pioneering is something that Pantheon International’s Andrew Lebus is no stranger to, as Gary Robinson reports, in this special feature. This was particularly true in the Asian region, but as Lebus quickly found out, new frontiers can produce great opportunities. So when it comes to Asia, how does one go about picking the right funds in a traditionally volatile region?Lebus is quick to point out that within PIP, most of the fund managers that he invests in are directed towards investments in the United States. Europe also is around 30% in the portfolio – including the UK. Asia is somewhere around 15%. “It is a minority of our exposure but also an important opportunity because we think that we can get access to things that are capable of potentially growing faster in some of those developing economies,” he says. Lebus makes the important investment decisions for PIP but also for Pantheon’s private clients and institutional investors via the investment committee for Asian activities and the company’s secondary activities teams. And to Lebus the fund manager is key, as opposed to the process or the investment houses they represent. Managers who have been able – usually over various cycles – to generate money above and beyond the markets and their peers are the managers that he is looking to back. Lebus also points out that it is the managers that own their own business that are far more attractive than institutions with big brand names, as it is often their own pension pot along with clients’ money that it is at stake. “There have been many instances where we have pulled back, despite liking the fund,” he concludes. * Joined Pantheon International in 1994. * First managed Asian investment program for 8 years in Hong Kong looking after the firm’s Asian investments. * Began managing the listed investment trust Pantheon International PLC (PIP) in 2002, a global fund of funds investment vehicle and has done that ever since. * PIP is the longest established private equity fund-of-funds company on the London Stock Exchange and, according to company statistics, it has outperformed the FTSE All Share and MSCI World benchmarks since its inception in 1987. This interview was first published in this month’s edition of International Investment, which is out now. View the edition online here, and to subscribe to our daily news bulletins click here. Andrew Lebus also features here, in the latest of International Investment’s The Big Interview video features series.